The software allows you to export multiple mailboxes from Exchange Server to G suite/ Google Apps. 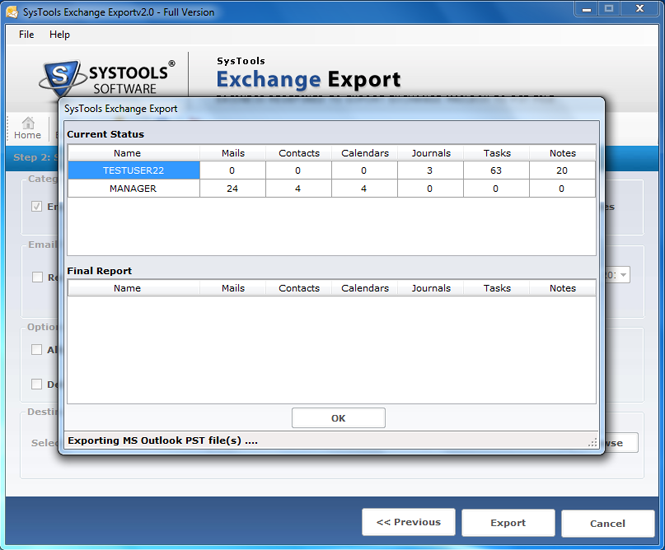 It further allows you to export emails, contacts, calendars, tasks, notes & journals. Also, the tool also ensures to keep the original formatting & Meta properties of mailbox items intact. 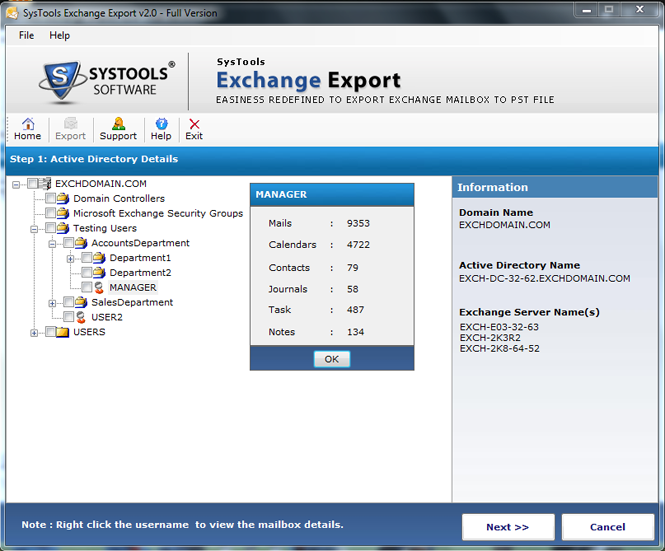 The software extract from Live Exchange Server mailboxes to Google Apps, the Active Directory plays a crucial role. When you click on export button to transfer exchange to google apps, the Active directory gets automatically scanned & loaded. 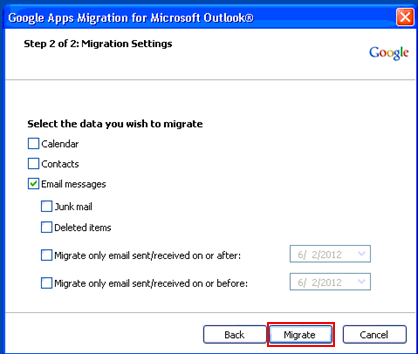 To migrate Exchange Server to Google Apps, you can apply the email filters. 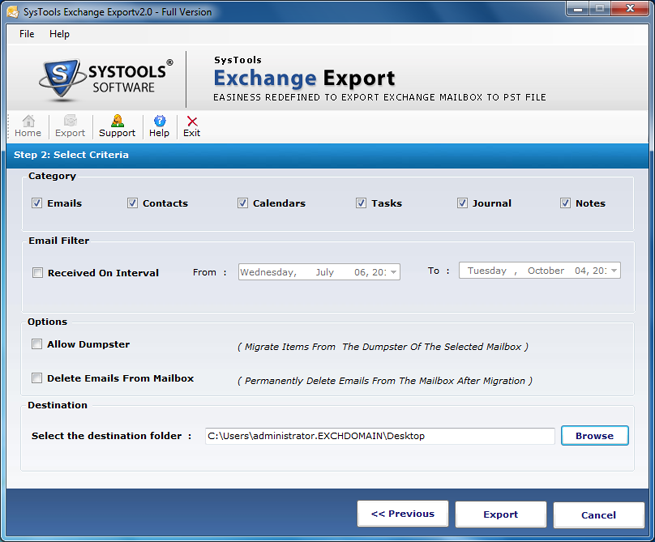 This option helps you to export or move only selective emails in the specified date range. You need to specify dates of “To” & “From” and the utility will convert Exchange to G Suite of the specified date range emails. 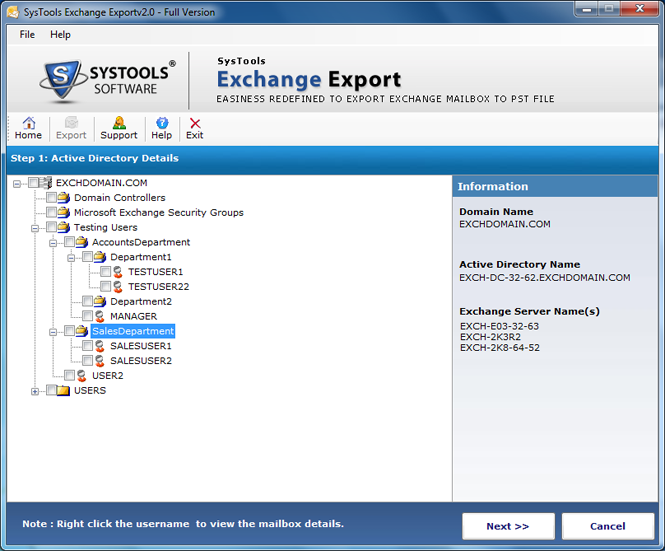 Once you delete any data from the Exchange archive mailboxes, then it moves to the Dumpster. 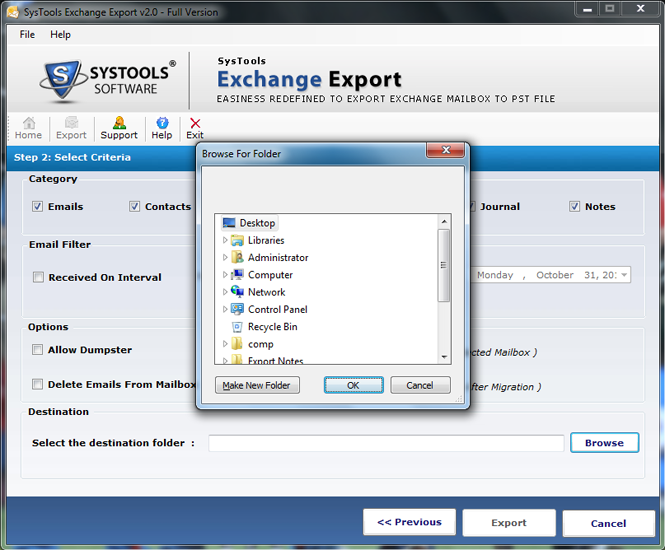 During the transfer process the software allows you to export mailboxes present in Dumpster of Exchange Server. To make this function work you need to activate the following option. After the migration of from Exchange Server to Google Apps, the tool allows you to permanently delete emails from the server. Thus, you can easily remove the data from the Server which has already being backed up in the form of G Suite file. Once the export process starts, the software generates a real time Exchange mailbox to G Suite migration. 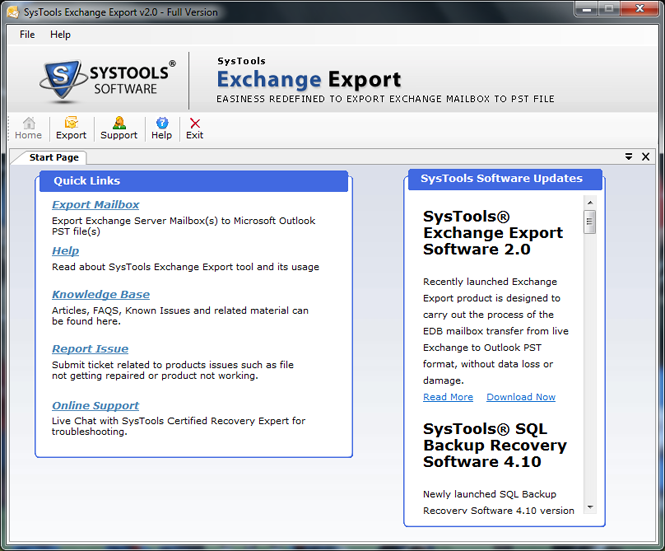 It export details like: name of the mailbox that is being exported, contacts, calendars, tasks, notes, journal etc. Click on Export option from the wizard. The screen will appear showing Active Directory details, you can select the needed database. To take the view or the details click on any of the node. Within this you can see the number of mails, contacts, calendars, tasks, notes & journals. Further click on next, from the next screen. Select the criteria to export from the following 5 categories: Emails, Contacts, Task, Journals and Notes. If you have select Email options to export, then the Email Filter option gets activated. From this you can provide the date range interval of “To” & “From”. The Option pane provides two option as Allow Dumpster & Delete Emails from Mailbox, choose the desired one. Now, select the Destination Folder to save the migrated mailbox items by choosing Browse option. 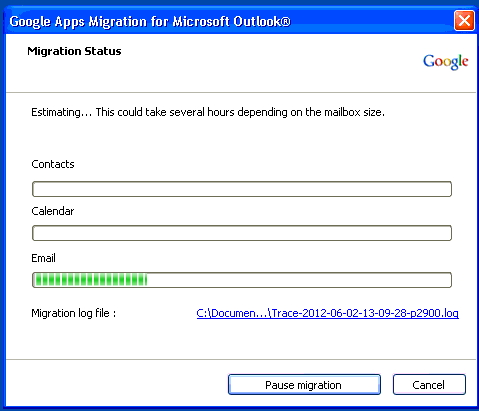 The window will appear showing the current status of the mailbox migrated mailbox with number of mails, contacts, calendars, task, journal and notes exported to G Suite. Once the process gets completed the final report will be provided. The Exchange Migration is been done successfully. Click OK to end the migration process. The exported files are in PST file format, now to convert these PST file to G Suite we can Use Gammo Tool to simplify the process. Download, install & Launch a free Gammo Tool. 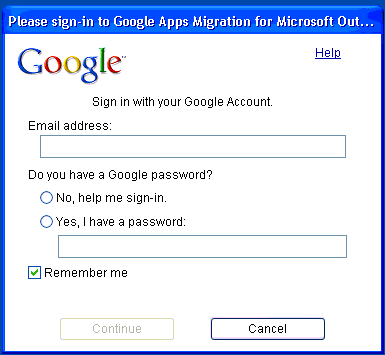 Provide Google Apps credentials of the account for Login. You can select the data you wish to migrate & apply filter by selecting date range. Then click Migrate button. The migration process gets started, check the status on the screen. Can I use this tool on Windows 8 laptop? Yes, you can easily run & install the program on any Windows 8 or 8.1 machine. 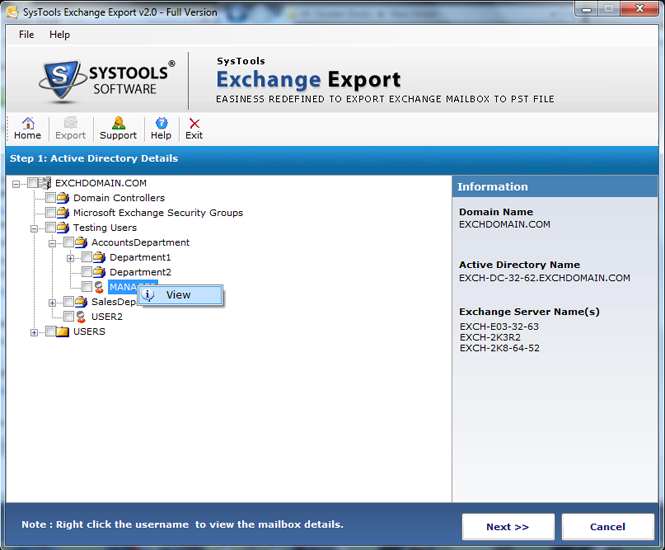 Is there any need to have Live Exchange Server environment to extract Exchange mailboxes to Google Apps? Yes, the software needs live Exchange Server environment to migrate mialboxes from Exchange Server to G Suite. Be sure that the migration machine & Exchange Server are in the same domain. Is it possible to export Exchange public folder into G Suite? No, the utility only exports Exchange mailboxes. Is Using Gammo Tool make the process easier or lengthy? With the help of Gammo Tool you can easily transfer the exported PST files into G suite. The process is easier and consume less of the time. Is there any File Size Limitation for the mailbox that the tool can export? No, there is no such limitation within the software. It can easily transfer any size of Exchange mailboxes to Google Apps. 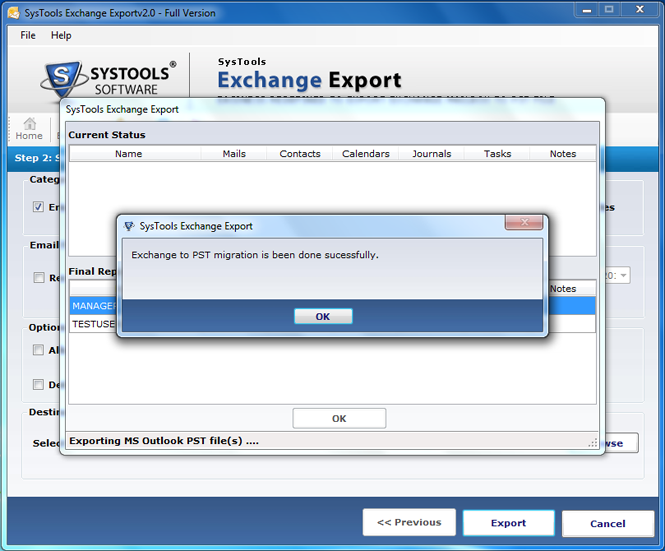 I was amused when I heard about the ability of the software to export Exchange EDB to G Suite when the Exchange is live. One day I experienced the procedure with free demo version of this Exchange to Google Apps tool, I made my decision firm that I will purchase this tool only. I’m happy say that the entire data from the mailbox is now safe in G Suite. It is been pleasure working with EDB to Google Apps Migrator application, the support team has proved to be good guide at each & every step. The customer services is very good. Thanks to the Team!